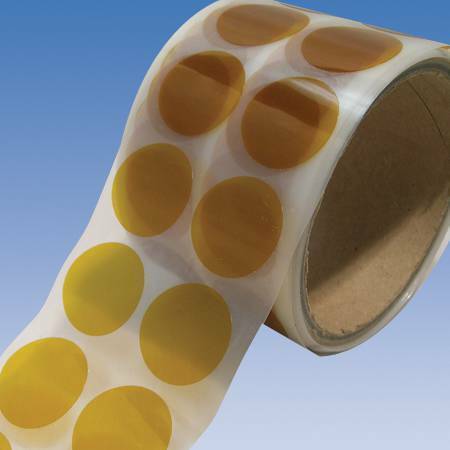 1 mil polyimide film with a 1.5 mil silicone adhesive, will withstand temperatures up to 500°F / 260°C. Description Designed with Kapton's enhanced polyimide film backing to withstand temperatures up to 500°F, these discs feature a silicone-based adhesive to help numerous facets amidst anodizing, powder-coating, chrome plating, electroplating and solder wave procedures. Multiple sizes available.